Ari Berk is a writer, artist, and scholar of literature, folklore, and myth. Former student of and assistant to Pulitzer Prize winning writer N. Scott Momaday, Ari has written everything from academic works on ancient cultures to popular books about myths and legends for children and adults and, most recently, a trilogy of novels. He works in a library filled to the ceiling with thousands of arcane books and more than a few wondrous artifacts. When not writing, he moonlights as professor of mythology and folklore at Central Michigan University. He lives in Michigan with his wife and son. Visit him at www.ariberk.com. 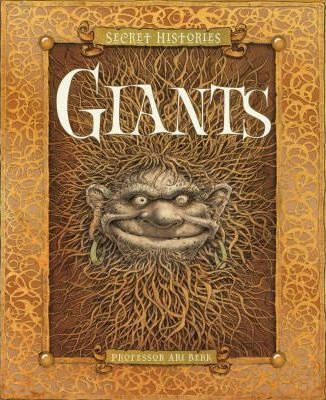 The first title in this eagerly-awaited series, Giants reveals the natural history of this secret race, presented by the Order of the Golden Quills, an ancient collective of various species (elves, dwarves, fairies etc.). Invited to join the order, readers are privy to the fascinating world of giants, including the mysteries of what a giants keeps in his sack; giant costume and clothing; the life cycle of giants and the mind-boggling evidence of giants that can be found today in landscape features around the world (Cerne Abbas hillside giant, Giant's Causeway, stone circles). Meet the world's most famous giants, including Goliath, Gogmagog and the 9'3" Child of Hale. A fascinating and beautifully presented volume, not to be missed!